From addiction to a healthy life is a long and hard journey. There should be dedication but the end result is worth it. The process of a healthy life starts with small steps. The steps to begin the rehab process depend on the type of addiction, treatment plan, and the individual. The recovery process is the same. The intake process determines whether the rehab center is fit for you or vice versa. The center will ask you questions; undergo diagnostic tests/screenings to determine if the treatment plan can be tailored to your needs. The center will want to know details about your addiction – its severity, drug use history, family history, and financial provision for the treatment. For those seeking rehab programs, there are no shortages of options. It is important that you look for one that suits your needs. If you are comfortable then you will stick to the end. According to the National Institute on Drug Abuse, there are a few key principles to keep in mind. Addiction affects your behavior and your brain. For a successful outcome, treatment should start early. You do not have to go voluntarily. Many individuals are compelled by the court system, place of employment, family or friends – and they are able to achieve recovery. No one-size-fits-all solution. Different treatments and facilities for different people. Effective treatment should address all the areas of your life — not just abuse or addiction. Mental health conditions are linked to drug addiction. It should be evaluated and addressed for your treatment. Treatment also assesses for any coexisting infectious diseases such as HIV, hepatitis, and tuberculosis. You commit time to treatment to effectively overcome addiction. Physical detox is important only in the first stage of treatment. Long-term change requires a process of behavioral therapy and ongoing support. 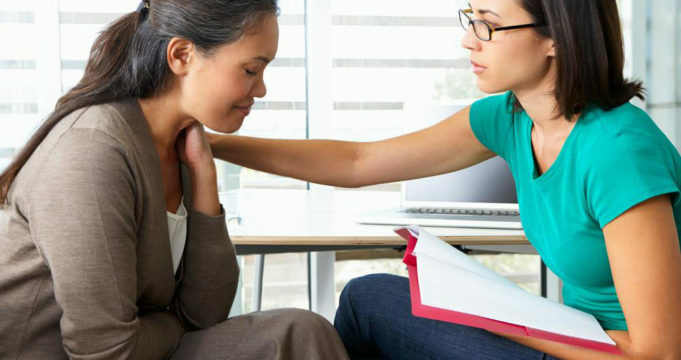 The most common form of treatment is behavioral therapy it involves a combination of group, family, and individual therapy. Medication is necessary along with therapy. Good treatment programs monitor you for possible relapses throughout the course of treatment. Treatment plans should be revised to meet your changing needs and circumstances.